Lane, E.d. and W. Pennell. "Salmon". The Canadian Encyclopedia, 04 March 2015, Historica Canada. https://www.thecanadianencyclopedia.ca/en/article/salmon. Accessed 24 April 2019. The salmon is a family of fish, Salmonidae [Lat salire, "to leap"], with soft fin rays, a short dorsal fin, an adipose (fatty) fin, and teeth in the jaws. The Atlantic and most Pacific salmon are anadromous, meaning that they live in the ocean but return to fresh water to reproduce. The Kokanee spends its whole life in fresh water (artwork by Pieter Folkens). The salmon is a family of fish, Salmonidae [Lat salire, "to leap"], with soft fin rays, a short dorsal fin, an adipose (fatty) fin, and teeth in the jaws. The family includes salmon, trout and char of the subfamily Salmoninae, the graylings of the subfamily Thymallinae and the whitefishes of the subfamily Coregoninae. Salmonids are native to north temperate and subarctic waters. However, because of their tremendous sportfishing appeal, they have been introduced to all continents except Antarctica. Five genera of Salmoninae are recognized. Two are Eurasian, Brachymystax and Hucho. Three are found in both hemispheres, including Canada: Salmo, the trouts and the Atlantic salmon; Oncorhynchus, the Pacific salmon; and Salvelinus, the chars. 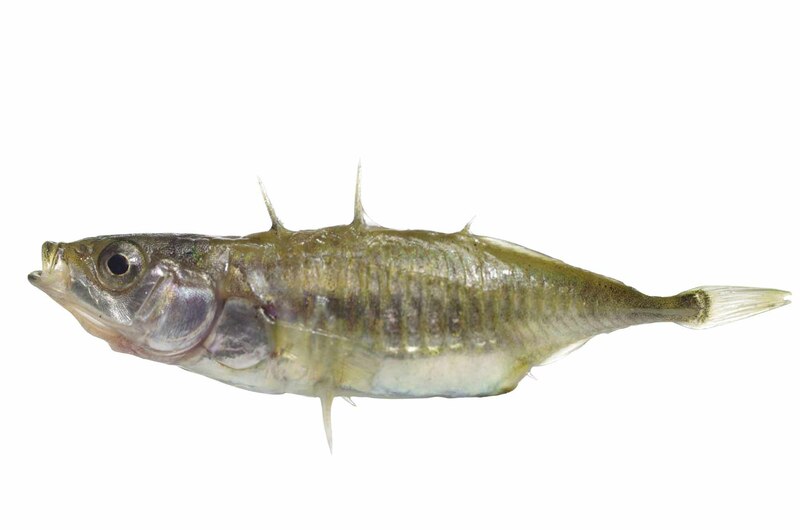 Salmoninae differ from other salmonids in having well-developed teeth in large jaws, and small scales. There is one genus of subfamily Thymallinae (Thymallus) and 3 of subfamily Coregoninae (Stenodus, Prosopium and Coregonus), all in Canada. 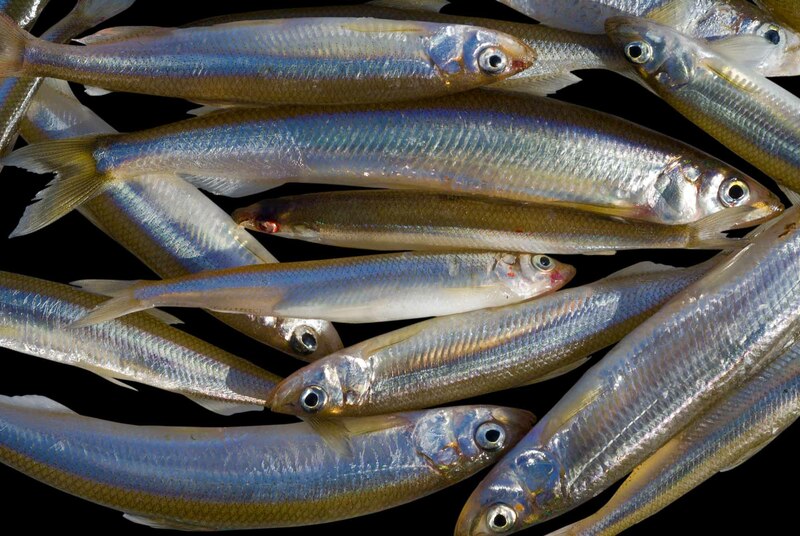 Grayling and whitefish have weak teeth and larger scales. All salmonids spawn in fresh water, usually depositing their eggs in the gravel beds of streams. Salmonid eggs, large compared to those of most other fish (3-10 mm), vary from yellowish pink to orange-red. Eggs hatch into an alevin, a free-living, non-feeding larva with a large yolk sac. Many species, especially the Pacific salmon, are anadromous, ie, spend their adult lives in the ocean, returning to their native streams to spawn. Unlike other salmonids, Pacific salmon die after spawning. Females maintain a streamlined head shape throughout life; in many species, males develop a pronounced hook, called a kype, in the jaw before spawning. Salmonids are famous for their ability to home precisely to their place of birth to spawn, and for their fighting and jumping when angled. Although the salmonids have always been and remain among the most valuable group of wild animals in Canada, recent changes in value have been dramatic. The total world production of salmonids has increased from about 500 000 t in 1985 to 1.7 million t in 1997. This increase is due to the rise of salmon aquaculture and today one of every 2 salmonids produced in the world comes from a farm. The value of all salmonids per kg has declined, and the value of wild salmon is less in total and less per kg than that of farmed salmon. This is very dramatic in Canada where the value of the commercial wild catch has declined from nearly $200 million in 1992 to about $50 million in 2000. In BC the salmon farming production is about 7 times more valuable than the wild commercial catch. However, the value of the Canadian West Coast sport fishery has greatly increased. Salmonidae are important to native peoples in Canada for both subsistence and ceremony. 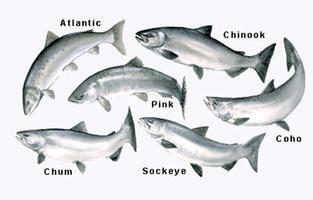 Char, whitefish and grayling are important in the North; Pacific salmon along the West Coast. There is a small commercial fishery for whitefish in central Canada. There is also a northern sport fishery for char and grayling. Pacific SalmonNatural history of pacific salmon species from Fisheries and Oceans Canada.